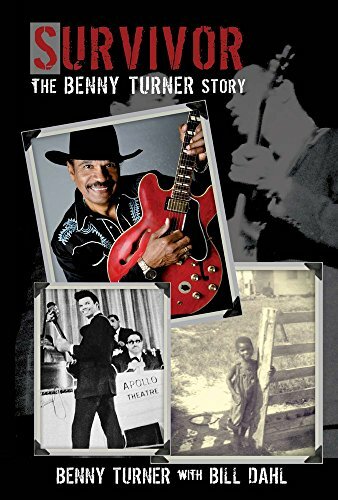 “Survivor: The Benny Turner Story” by Benny Turner and Bill Dahl, takes readers on a journey of Benny Turner and his family from the depths of poverty in Gilmer, Texas, to the bright lights of Chicago. Turner, along with Bill Dahl, does an excellent job describing the brother’s, Benny and Freddie’s early childhood living in poverty where sometimes the only thing available to eat was “red clay.” Benny’s family were very close knit, and each did what they had to do to survive, from picking cotton at an early age to working any job they could get for very little pay. Freddie King, a legend in his own right, became an influence on Benny and his love for music and the blues. When the family moved to Chicago in the 1950s, they continued to experience prejudice in segregated hostility, while at the same time experiencing a cultural shock of life in the “big city.” It was here that Freddie and Benny began their road to fame in some of the seediest places. Each had their special style of music whether it was bassist or gospel music. Never once did either of the brothers forget their humble beginnings. This journey is written with passion and genuine love of family and music. When Freddie suddenly passed at an early age, Benny was devastated as he was the one who cared for him and taught him to love the blues. The authors provide vivid descriptions of living in the 50s of the clothing, segregation and the hardships – one actually felt as if they were experiencing it firsthand. Turner shares many of the home remedies that his mother used when anyone was sick, like soot and sardine oil. Baths were taken in a number 3 washtub. I enjoyed reading about this era with the coming of the blues and the different stars Benny played with, which included Eric Clapton. Sometimes the paragraphs were a bit choppy, more like jotted notes but the message was clear. The author includes many photographs which add to the descriptions of his life as he moves to become an international star. If you like the discovery of learning about the birth of the blues and how famous musicians and band leaders came to be, “Survivor: The Benny Turner Story” by Benny Turner and Bill Dahl is the book for you.